Since 1868, the YMCA of Greater Des Moines has been dedicated to strengthening the foundations of the central Iowa community. We are committed to protecting the privacy of our members, volunteers, donors and community constituents. The YMCA will not sell, share or release your name to any list service, outside organization or manufacturer, and any information provided by you will be held in the strictest of confidence. We at the YMCA of Greater Des Moines recognize the importance of protecting your privacy. The purpose of this notice is to explain the practices and procedures we implement to protect your personal information, the way we use this information, and the choices you can make regarding your personal information. This notice can be accessed by clicking on a "Privacy" link on every page of our web site. YMCA of Greater Des Moines is committed to protecting your privacy and will honor this Policy. You may browse the YMCA of Greater Des Moines’ web site without submitting personal information. However, if you choose to participate in any of our online activities, you will be asked for applicable personal data such as your name, postal address, email address, phone number, fax number and payment information. The purpose of collecting such data is to respond to specific questions, to register you to receive email updates and other events that have online registration, to honor requests for brochures or newsletters or to process payments and donations made online. 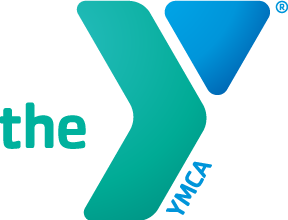 The YMCA of Greater Des Moines also uses this personal information to advise users of new online materials, activities, and events and to provide users with the opportunity to register for programs online or to donate money online. Your credit card information is encrypted when submitted to the processor and transmitted over a secure connection between your computer and their server using Secure Socket Layers (SSL), the industry standard, to ensure protection of your private information. This sensitive personal information is not shared with third parties other than the processor and is stored by YMCA of Greater Des Moines in a secure server for verification purposes or for recurring payment that you have authorized. Cookies are small text files that a website can place on a visitor's computer hard drive to recognize repeat visitors, to facilitate a visitor's use of the site and to track a visitor's access to and use of the site. The YMCA of Greater Des Moines never shares your email addresses with third parties. Personal information collected from our online registration and donation pages is never shared with third parties. You may opt out of YMCA of Greater Des Moines communications at any time by contacting metro@dmymca.org. You may also remove yourself from the YMCA of Greater Des Moines email lists by clicking on the "Manage Your Subscription" link at the bottom of any email. Your email address is never shared with third parties. If you have any questions, feel free to e-mail us at metro@dmymca.org.